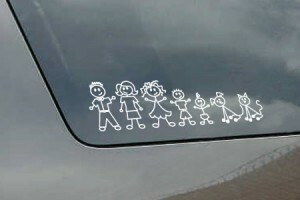 As kids grow bigger and heavier, they became harder to pick up to wash their hands. 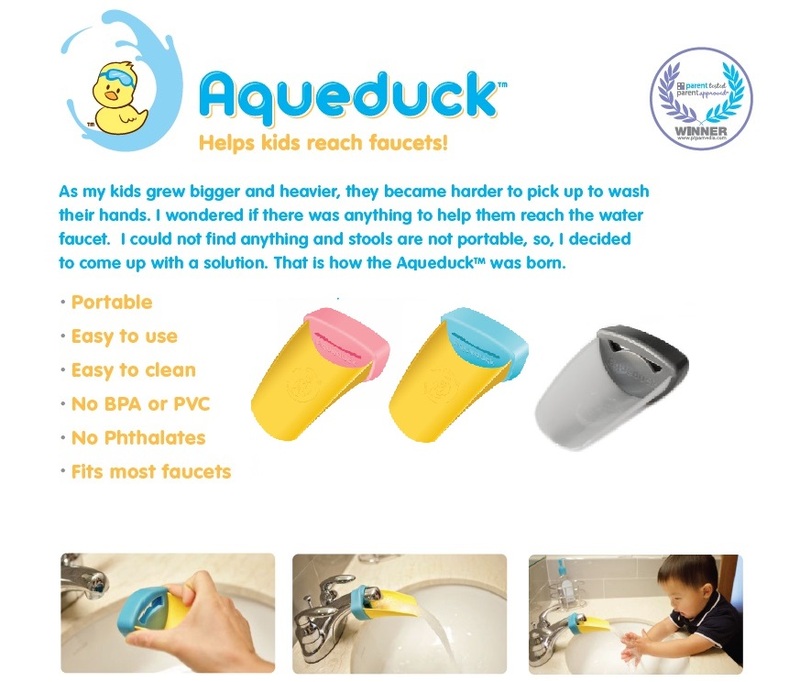 With the Aqueduck faucet extender kids can do it themselves! Aqueduck is portable, easy to install and fun to use! 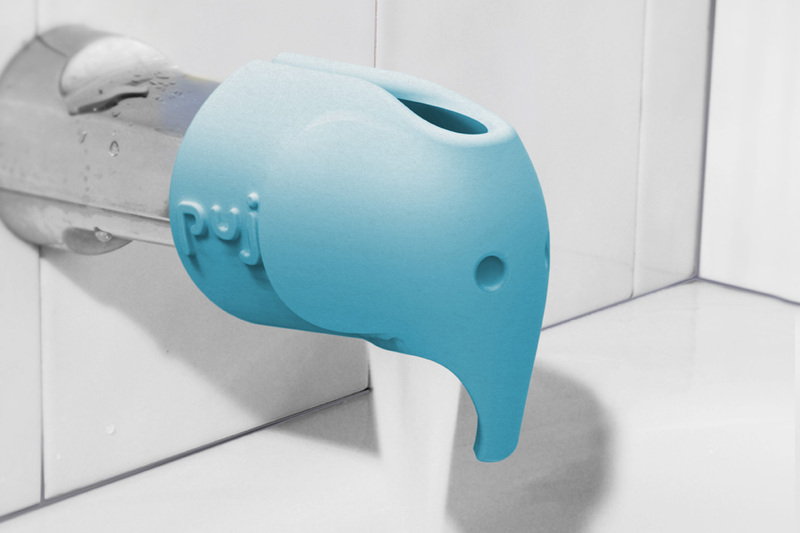 Available in pink or blue and fit most bathroom faucets.